No exterminators will be found on the grounds of Long Beach City College (LBCC) in California when the school conducts an event next week designed to control the rabbit population on campus. Instead, volunteers from Western University, the Bunny Bunch in Montclair, and the Rabbit Task Force of Long Beach City College will work together to spay and neuter at least 100 bunnies and return them to their campus burrows. It's the first known effort to apply feline TNR (trap/neuter/return) principles to a rabbit colony. If it works, it could set the standard for rabbit control nationwide. The project took a year to plan and truly took a village to make it happen - a "village" that reached from Long Beach to Montclair and Pomona at the foot of the San Gabriel Mountains and eastward to Kanab, Utah. And it all started when a couple of rabbit caretakers at Long Beach City College got hopping mad about an administration proposal to exterminate the resident bunnies. Rabbits have been a part of the Long Beach City College campus for many years. They were cared for by dedicated employees like Jacque Olson and faculty members like Donna Prindle. For roughly 10 years, these caretakers had managed to spay/neuter, foster and adopt out enough rabbits to keep the population at a reasonable number. Then construction projects in the area destroyed some of the rabbit burrows - and those bunnies just hopped on over to the lush, green campus nearby. To make matters worse, more area residents began to drop their pet bunnies off at college when they no longer could care for them. "People don't realize it's a problem or against the law," Olson said. "They see rabbits grazing (at the school) and feeding stations that employees keep full and they think it's Disneyland for rabbits," she said. Pet rabbits don't last long in the wild, so Olson and Prindle try to get to the newbies quickly to neuter and adopt them out. "You can tell which ones have been dropped off," Olson said. "They run up to us and get in our laps (because) they don't know how to survive in the wild." Meanwhile, the rabbits just kept coming - and multiplying. The duo realized the situation was out of control when the estimated population reached 200 to 300 rabbits and sent a plea to Best Friends' Community Animal Assistance department asking for help. Specialist Medha Isaacs jumped right in. And then the "village" started to sprout wings. First, Best Friends sent Tiffani Hill, then-volunteer manager of Community Programs and Services, to do a presentation to school officials that outlined what the college would need to implement TNR. It also addressed the cost to the school if the rabbit population grew out of control versus the cost to spay and neuter the rabbits and watch the colony eventually shrink. "When I heard you sent someone to make that presentation to our college last spring, I knew we had a chance to do something great if we could get our administration on board," Prindle said. That first step may have been the biggest: convincing the administration that TNR was better than killing the rabbits. Armed with information from Best Friends' Bunny outreach specialist Debby Widolf, Prindle and Olson did just that, getting the green light for the Rabbit Task Force by the end of 2009. There already were funds from student and faculty donations to neuter some rabbits and adoption events were in the works. A vet was on board with the neutering. And a plan was formed to educate the public about the bunnies and the laws against dumping pets. In December, the Task Force got a $1,500 grant from the student body group to help with feeding costs after the rabbits are neutered and permission to use a $10,000 Southern California Edison rebate that had been assigned to the school's building and grounds maintenance budget. The Rabbit Task Force also was referred to Christina Kane a veterinary student from Western University, who'd taken a Best Friends workshop in Kanab last year. She jumped right in to get classmates and staff involved with the spay/neuter project. In the end, Western offered to let Long Beach use its portable van for the surgeries, along with three volunteer veterinarians and other students who offered to help with the project. 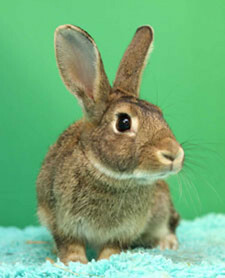 The Burrow - Bunny Bunch Education, Adoption Center and Store in Montclair also joined the effort. "She provided us with help and expertise for this plan," Prindle said. Charland, who has conducted rescues of as many as 600 rabbits at a time, also offered to help with fundraising, adoption, medical care and volunteers to help trap the bunnies. A trial run was conducted in early March in preparation for spay day. Bunny Bunch and Best Friends have contributed crates for trapping and housing the bunnies before the big event. Even the Orange County Fairgrounds got in the act, offering additional crates. "I'm hoping (we'll) set a precedent that there is a way to deal with rabbit populations," Charland said. With a month to go before the big event, Best Friends" Debby Widolf was ecstatic about the prospects for this project.